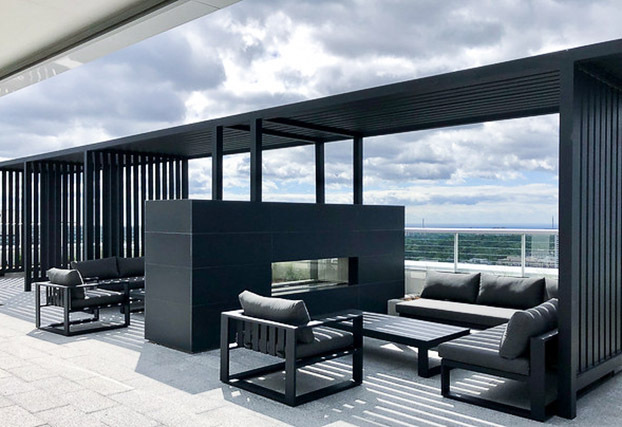 Since 1949, Hauser has been a leading designer and manufacturer of custom site furniture solutions. 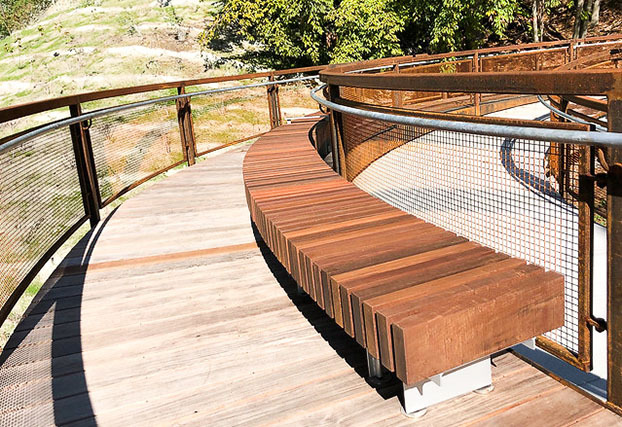 Collaborating closely with the architectural and design community, our flexible design and manufacturing solutions offer the ability to meet the demands of the most complex projects and discerning customer requirements. Within our 150,000 sq. ft. state-of-the-art manufacturing facility, three generations of Hauser expertise ensure our furniture exceeds your expectations for quality and dependability. Hauser products are available through North America, and internationally. 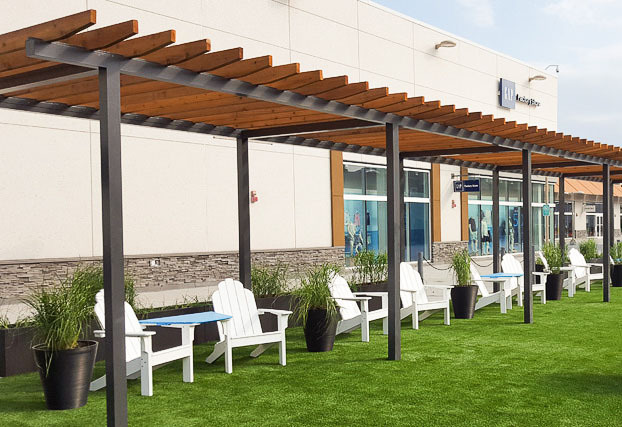 Our Spacelinx Pergola's modular design maximizes the usage of space while still maintaining intimate seating pods. 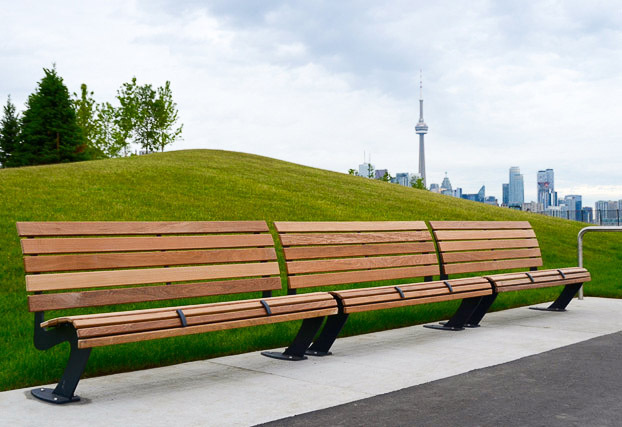 Our Harbour Aluminum Bench features a curvaceous, all welded aluminum frame and is perfect for a modernized design intent. Our Quantum Collection provides ultimate comfort, and sophisticated styling. Our Conic Trash Receptacle provides a stylish alternative to any ordinary receptacle design. 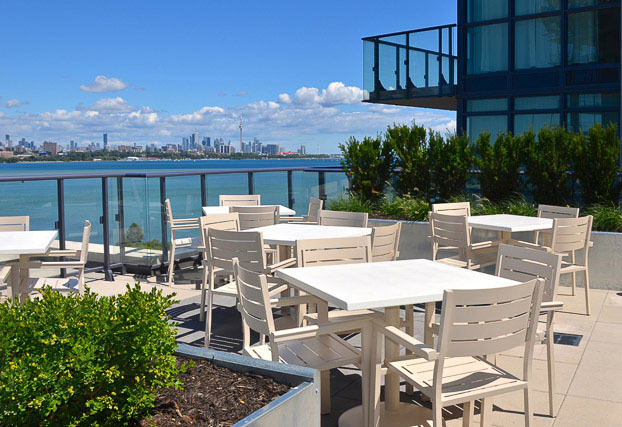 Our Venti Arm Chairs and Solid Surface Tables provide a great place for guests to rest, mingle, or enjoy a meal. 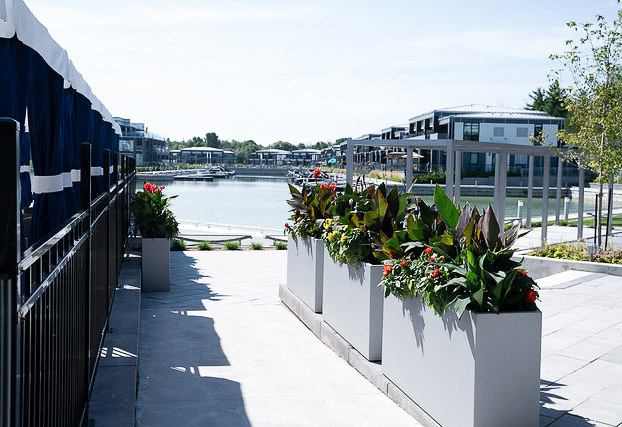 Our Terrace Aluminum Planters are available in custom sizes to match any site application. 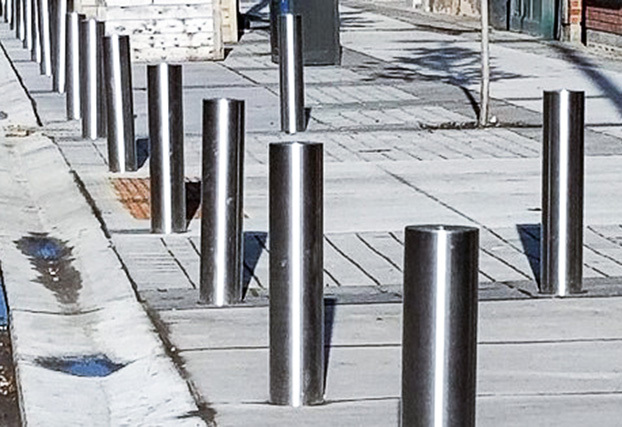 Our Market Aluminum Bollard and Fencing system can help define spaces and modular pedestrian pathways for any site. 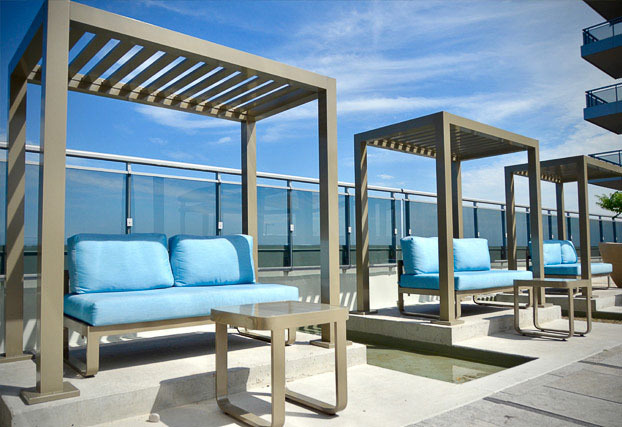 Our Mini Pergolas and Loft collection seating pods create a great area for guests to lounge and enjoy the terrace. 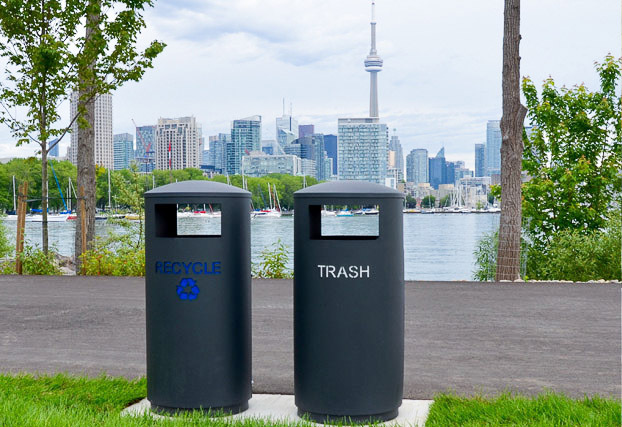 Our Lakeview Aluminum Receptacles ensure your site is kept spotless. 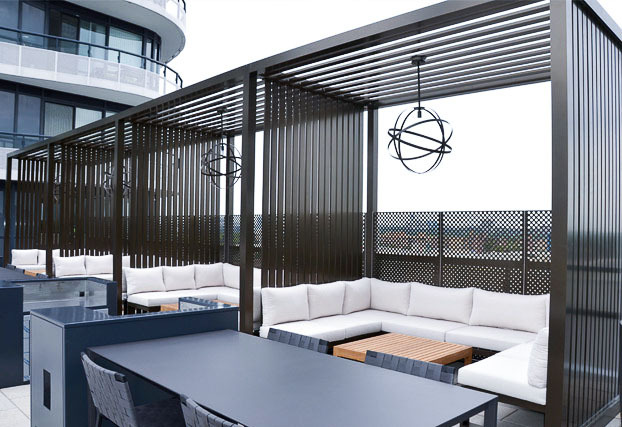 Our Aluminum Pergola and Boomerang Cluster seating provides the perfect integration for any courtyard or terrace. 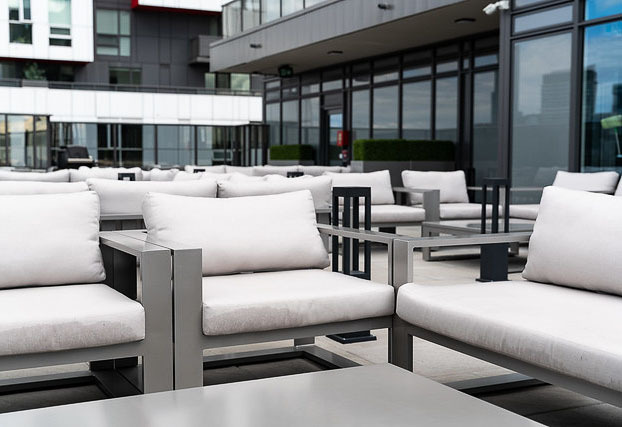 Our Boomerang Aluminum Cluster Seating is an ideal place for customers to meet and eat. Give cyclists a sense of security with our Circum Bicycle racks. Our Monterey Aluminum Arm Chairs and Solid Surface Tables are the perfect complement to any contemporary design. 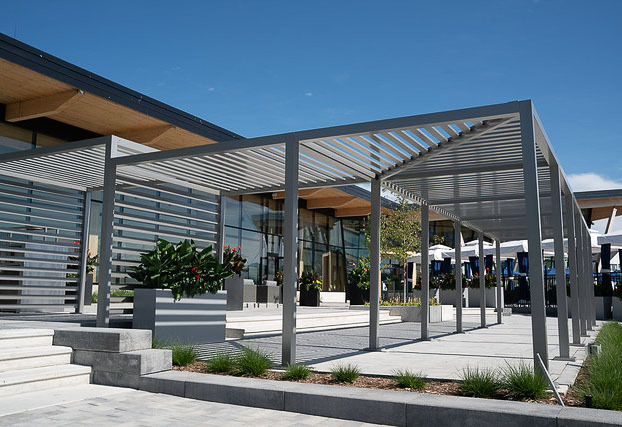 Our Quantum Collection fits perfectly in the shade of our Grand Pergola to provide the ultimate lounging experience. 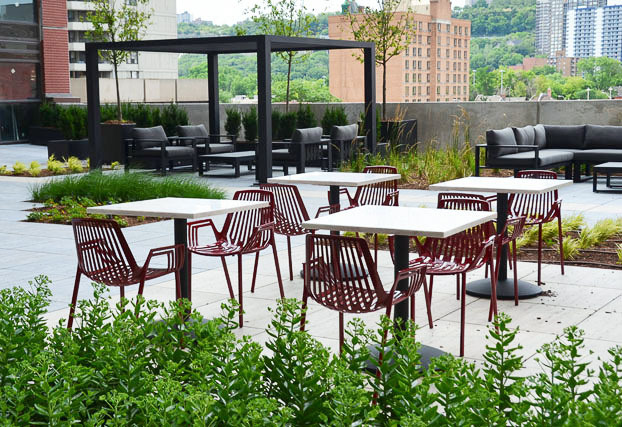 Our commitment to the environment: Hauser has built a legacy on casual outdoor living. In doing so, we have always been cognizant of our shared planet’s biosphere. While enjoying it every day, we are thankful for a renewed global enthusiasm towards improving the planet's health. Hauser is one of the first companies to promote large scale recycling programs to public facilities. Our products leverage high quality recycled content and many are again recyclable, meeting and exceeding sustainability objectives. Additionally, Hauser product is designed to last and is easily maintained with replaceable modular components. Manufactured using VOC-free and other non-hazardous materials, and with attention to minimal waste production. 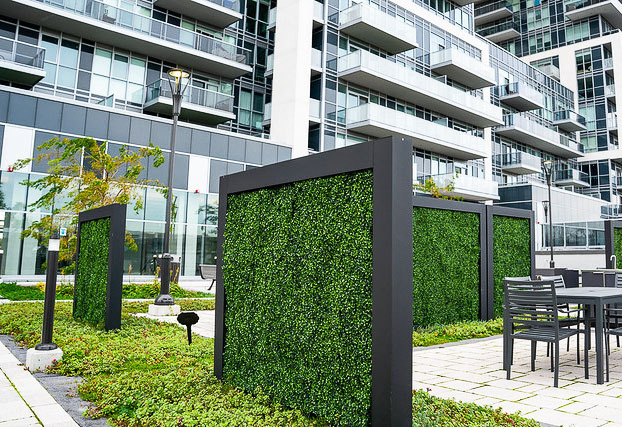 In keeping with our commitment, Hauser can assist you in acquiring LEED credits. 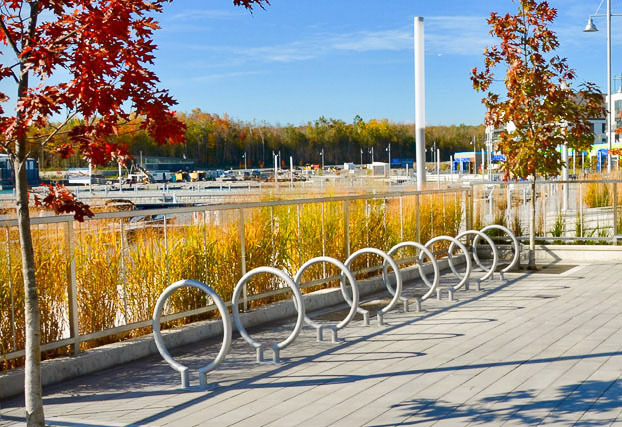 Hauser products, through their very nature, can contribute towards credits for alternative transportation: bicycle racks; credits for renewable resources material specifications; recyclable or post-consumer content; and minimized transportation of raw materials. Hauser squeezes the maximum utility out of our raw materials, we have always maintained a zero waste management strategy: What is not used or re-used through the manufacturing process is recycled adhering to Hauser’s strict environmental mandate. All Hauser finishes are 100% VOC free - our manufacturing facilities utilize powder coat and hot melt technologies which both emit zero VOC’s. The powder coat finishing process contains and reuses all powder coat overspray. 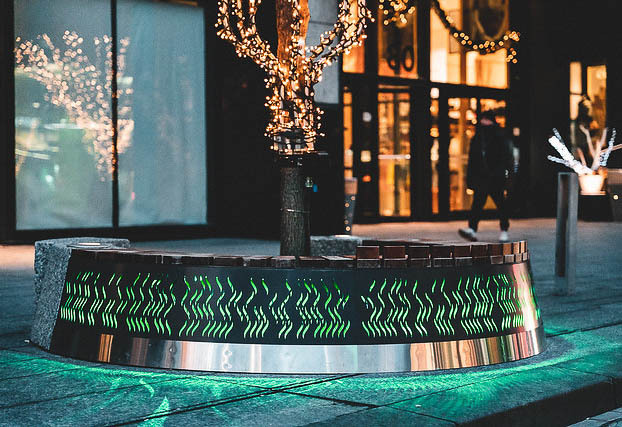 Hauser has traditionally been a metal fabricating company; our metal products contain a majority of recycled content up to 100%. Typically, and whenever possible, we source all raw materials from local suppliers.